The Voices of Unity Youth Choir made headlines last July when it earned Grand Champion standing in the Gospel and Spiritual category at the sixth annual World Choir Games in China. The Fort Wayne, IN based group also finished Third in the Popular Choral Music category, bringing the group’s awards total to an impressive two gold medals and a trophy. The environment of discipline, teamwork, and professionalism crafted by the choir’s director and founder, Marshall White, is a big reason for the group’s success. 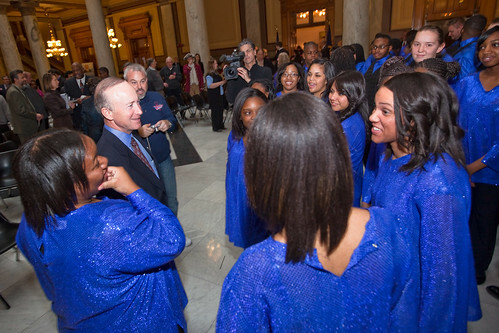 Composed of a diverse group of children and youth from the Fort Wayne area and beyond, the choir aims to help students gain confidence and better adapt to the world around them through the act of singing. Additionally, the choir offers students opportunities to do things they might not otherwise have a chance to, such as traveling halfway around the world for a competition. 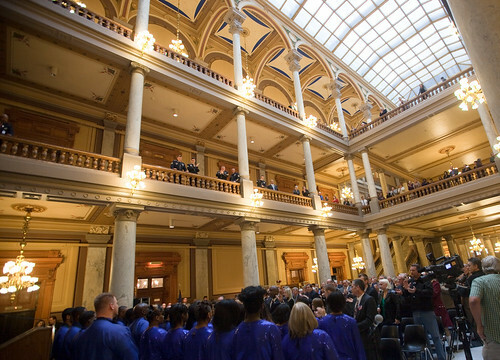 The group’s success at the World Choir Games is why it received an invitation to perform at the Statehouse in Indianapolis last month. The group performed the national anthem, as well as America the Beautiful and Love Has No Color. The 122-year-old Statehouse is one of the most impressive spaces the group has performed in yet. The interior is a spectacular marriage of granite, limestone, and marble columns, intricate woodwork, and chandeliers. From a design standpoint, it looks every bit its 122 years. Renovations and restorations over the years have kept it in pristine condition. On the day of the performance, group members strolled through the same halls of power that state policymakers do on a daily basis. 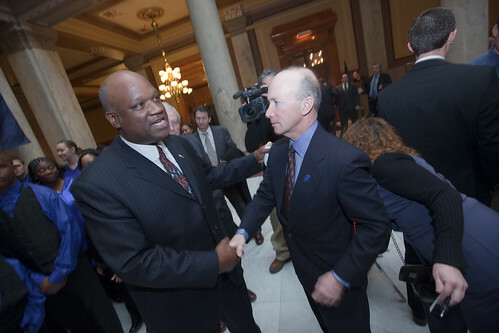 Governor Mitch Daniels, a potential presidential candidate for the Republican Party in the 2012 elections, was in attendance, sitting in the front row. Governor Daniels mingled with group members afterwards, sharing experiences from his youth when he, too, was involved in the performing arts. Performing in impressive spaces and meeting equally impressive individuals is becoming common for the group. 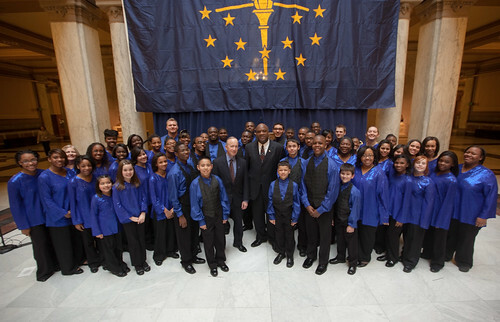 Voices of Unity has worked with Josh Groban, Roberta Flack, and The Fort Wayne Philharmonic, among others. The group has performed at several Indianapolis Colts games and events, forming a relationship with the team and president Bill Polian, who has officially endorsed them. 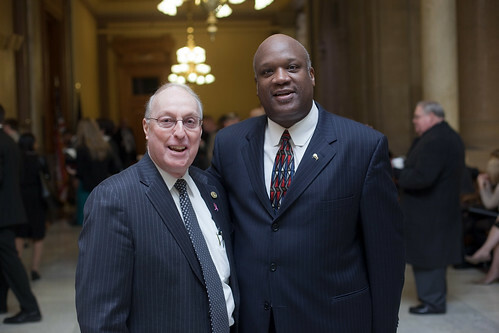 Including Polian and Governor Daniels, each of the successful people the group has met got to where they are today because of discipline, teamwork, professionalism – or all three. The best part about Voices of Unity is that all those things White stresses to his students will serve them just as well off the stage as they have on it. The people the choir has met are a testament to that fact. Gold medals and trophies may be nice, but a bright future is the greatest prize of all. Ultimately, the spaces the choir performs in aren’t just spaces; they’re a peek into what the future may hold for members of the choir, because of the choir.